On today's post, I'm going to be reviewing one of the latest March movies that I have recently seen. 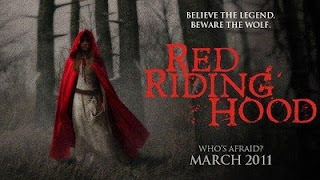 Through my better judgement regarding my personal choice of movie genres, I went with friends to see: Red Riding Hood! 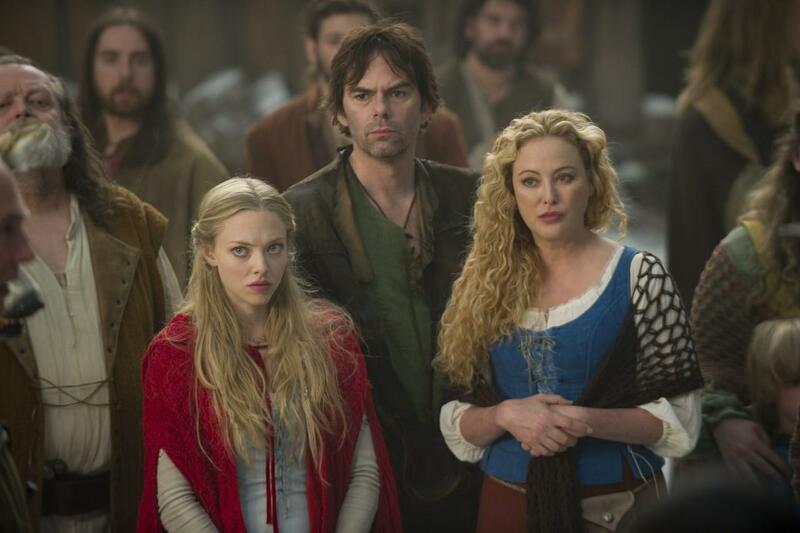 The Premise: Valerie (played by Amanda Seyfried) is in love with a woodcutter, Peter (Shiloh Fernandez). 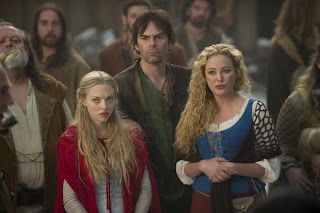 Though being "engaged" to another man (the union has been established by her parents), she plots to run away with him but is stopped when her sister is found dead through the recent attack of the wolf. Soon the wolf attacks become more frequent and an outside witch hunter, Father Solomon (Gary Oldman) comes to the village of Daggerhorn to slay the wolf. 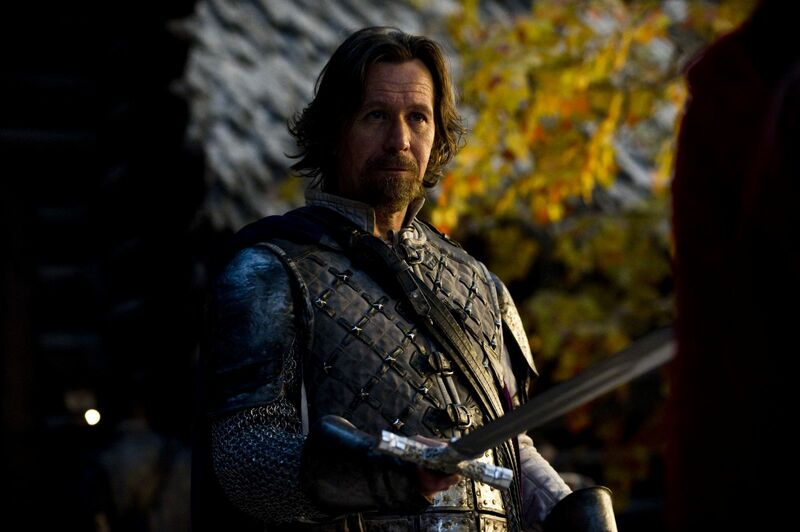 The movie revolves on the theme of the villagers trying to take down the wolf. Paranoia sets in due to Solomon telling them that one of them is actually the wolf in disguise and the entire town falling into disarray at the prospect of them dying or being turned into a wolf themselves. Also at the heart of this dark tale is the love triangle between Valerie, Peter and Henry with Valerie and Peter trying to be together without being discovered. The Good: I'm not a fan of love stories because sometimes the two romantic leads don't have a connection to carry the film. However, I really felt for the two main characters and believed that there was a good enough connection that was believable. The movie I feel was carried by the acting because all the characters, from the main to the supporting, kept things in perspective throughout the entire film and didn't overact. Another good point is that since the film is an interpretation from a fairytale, it surprisingly wasn't that terrible compared to a variety of other films we've seen adapted from outlets like books, comics and video games. 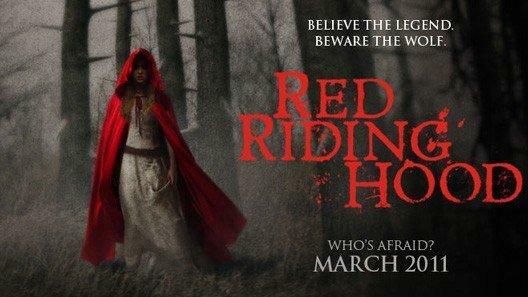 The Bad: I have to start this off because I know what we are all thinking: "They made a movie about Little Red Riding Hood?!" The movie is loosely based off the fairytale and I felt that the idea was stretched out for over an hour and a half to create a plot. Whenever it made references to the children's story, I found it laughable especially at the iconic Grandmother's bedroom scene with the big eyes, ears and teeth. I think the movie took on an interpretation from the darker Grimm's fairytales and I'm happy about that because it wasn't just childish fluff. However, even though this is a darker film, it in no way compares to other dark films in the genre especially those created by Tim Burton. Even though this film is not in my genre (I'm a horror, action, fantasy or drama kind of guy), it was surprisingly a pleasant film. It wasn't terrible compared to the other adaptations we've seen so many times before but let's face it, it's not amazing. The script was alright and I give respect for creating an overarching plot to a short children's story about a little girl in red meeting a big bad wolf. The one thing I truly feel that lacks is presence and spark. There's always something about certain films that set it apart as inspiring pieces and I feel it's just a movie about love and a werewolf (think New Moon instead of Blood and Chocolate). I recommend watching the film if you're in the mood to see a movie and possibly the nostalgia of a story you've known since you were a kid. It's not a movie that will change your life but hopefully it's one that can keep your interest for over an hour.